The Managing Director of the Nigerian Ports Authority (NPA) played host to the Inter-Ministerial Sub Committee for the Implementation of a Work Plan of Action on Haulage Operations in Nigeria in the Organisation’s Corporate Headquarters in Lagos today. The Representative of the Managing Director, Nigerian Ports Authority (NPA), the Executive Director, Engineering and Technical Services, Prof. Idris Abubakar (right) and the Chairman of the Sub Committee, Asst. 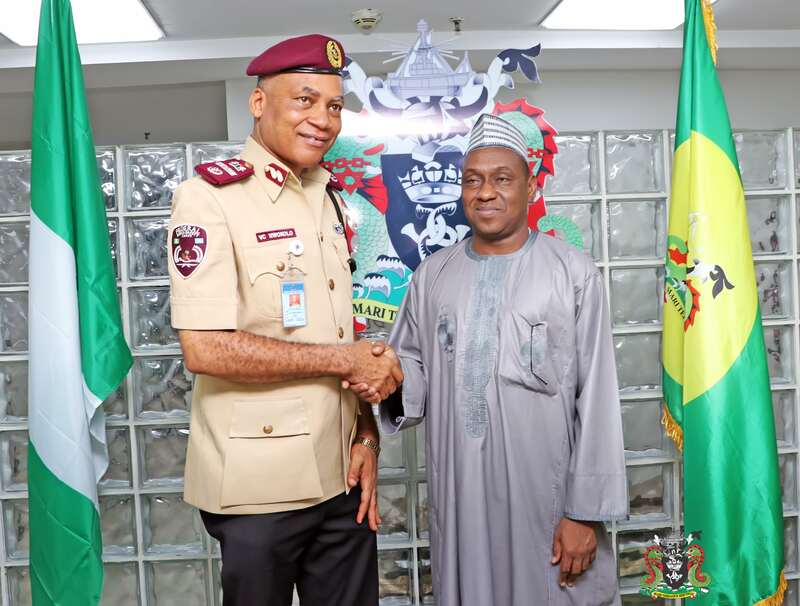 Corp Marshal, Victor Nwokolo after a courtesy call on the Managing Director at the NPA Corporate Headquarters in Lagos today. 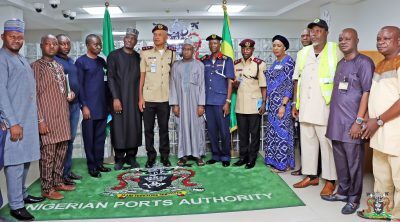 The Representative of the Managing Director, Nigerian Ports Authority (NPA), the Executive Director, Engineering and Technical Services, Prof. Idris Abubakar (2nd from right), the Chairman of the Sub Committee, Asst. Corp Marshal, Victor Nwokolo (2nd from left), the General Manager, NPA Abuja Liaison Office, Edward Kabiru (left) and the Asst. Commander General, Zone A, Nigeria Security and Civil Defence Corp, Dateer Andy (right) after a courtesy call on the Managing Director at the NPA Corporate Headquarters in Lagos today. 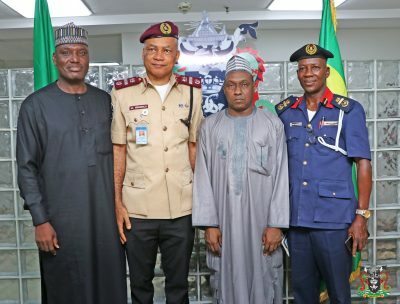 The Representative of the Managing Director, Nigerian Ports Authority (NPA), the Executive Director, Engineering and Technical Services, Prof. Idris Abubakar (Middle), and Members of Inter-Ministerial Sub Committee for the Implementation of a Work Plan of Action on Haulage Operations in Nigeria after the event.